IntraSafety is the result of a successful research project, sponsored by the BMBF (Federal Ministry for Education and Research). Top level partners and consortium participants such as Chemion Logistik GmbH, BIBA Bremer Institut für Produktion und Logistik GmbH were involved under the leadership of tbm. The objective "Increase in the Safety and Efficiency of Industrial Trucks in Intralogistics through the Use of Intelligent ICT" was achieved and presented with the IntraSafety System and with great appreciation by the BMBF. IntraSafety is based on the proven NoColl technology and integrates safety at work into a perfect logistics management system. 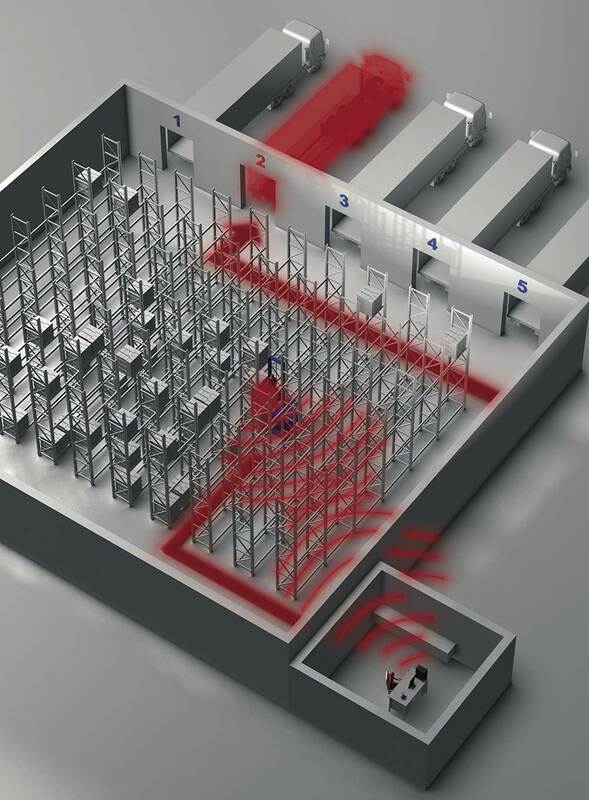 For this purpose, networked NoColl matrix sensors locate vehicles and personnel and control the material flow and personnel safety in real time. With it, Industry 4.0 is supplemented by an extra dimension. IntraSafety is, therefore, the intelligent logistics management system with bidirectional communication between vehicles and a central master computer for transparent logistics. Configurable protection functions at defined positions or in specified areas and the central event logging increase the added value when compared with mere collision protection or stand-alone logistics management. 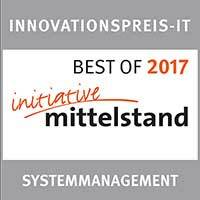 IntraSafety is the outstanding product in the System Management category. The NoColl matrix sensorsregister and identify the vehicles. Where the vehicles travel and how often is used to optimize the travel routes. The NoCollmatrix sensors register unladen journeys, collect data and optimize the operational planning. Due to the preventative collision avoidance between vehicles and between vehicles and personnel, the entire logistics process and material flow are improved. In real time, the position of a vehicle is transmitted to the matrix centre and thus new driving orders can be transmitted. Zone Guard controls which vehicles are allowed to travel in which areas. Speed Zoning controls which vehicles can drive at what speeds in a zone or on a route section. Individual adaptation makes IntraSafety your logistics management system.